5 types of collagen instead of 1 or 2. 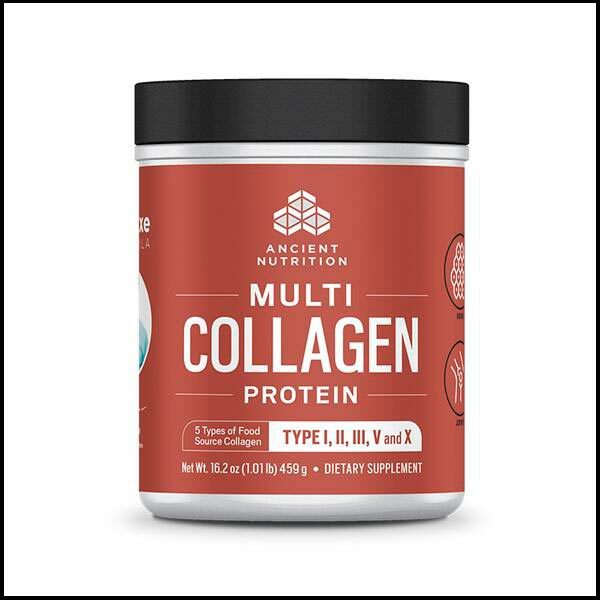 Unlike many supplements, our collagen features 5 different types of collagen to support different body parts and functions through the collagen receptors found in your body. You’ll find types I, II, III, V and X in our proprietary Multi Collagen Protein blend. Pure taste. This nearly tasteless, dissolvable powder can be added to virtually anything. Scrupulous sourcing. The 4 food sources in our collagen are sourced from the places that make sense. Eggshell membrane from USDA certified hatcheries. Grass-fed beef from South American cattle. MSC certified wild-caught fish (pollock) from the US. And chicken bone broth from US chickens. Clean, minimal ingredients. Check our label. You’ll only find 4 total ingredients, all from real food sources raised without antibiotics or growth hormones. Everything is non-GMO. Our supply chain is clean from start to finish. Study-supported benefits. We don’t make claims that our product will fix all of your problems. But we stand by the benefits you’ll find called out on our bottle for your skin, gut and joint support.† Since collagen is the most abundant protein in your body and naturally diminishes with age, we believe adding it back in makes a big difference. Hydrolyzed collagen. What does hydrolyzed mean? Basically, it means that protein chains are broken down into single amino acids so they can typically be better digested and absorbed by your body.